Kadoya is Dagashiya (駄菓子屋), the classic Japanese sweets shop, located in Arai Town. Dagashiya is the old style sweets shop. Those sweets are original price since eary Showa period. 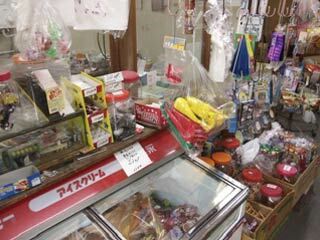 If you have 200 yen, you can buy many sweets at Dagashiya. Check out the classic Japanese sweets.